Camp for All is a great way for campers of all ages and abilities to gain self-confidence and independence while having fun, learning new skills and bonding with others who share their challenges in a safe and understanding environment. 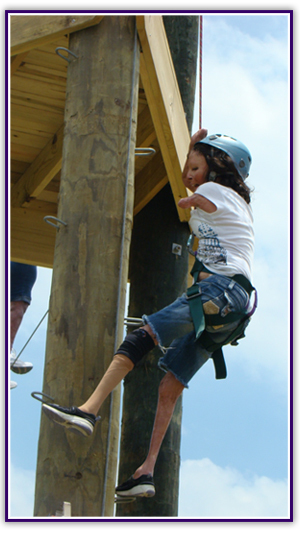 Campers at Camp for All are surrounded by others with the same challenges and immersed in fun activities and a positive environment. More than 7,000 campers attend Camp for All throughout the year and it has been around since 1998. I first learned about the camp after hearing Camp Director Kurt Podeszwa speak at TedxHouston in June 2011. I, and everyone else in the audience, could easily tell how passionate Kurt was not only working with children and adults with special needs, but also seeing how much he enjoyed putting his heart and soul into helping children do things they didn’t think was possible. Some of the fun activities that Camp for All offers are: aquatics, archery, arts & crafts, camper kitchen, biking, challenge course, equestrian program, small animal farm, wheelchair sports, kickball, paint ball, disc golf, gold panning, and a nature program. Hek, I want to go! Read about these activities here. For directions and other information, please visit www.campforall.org.